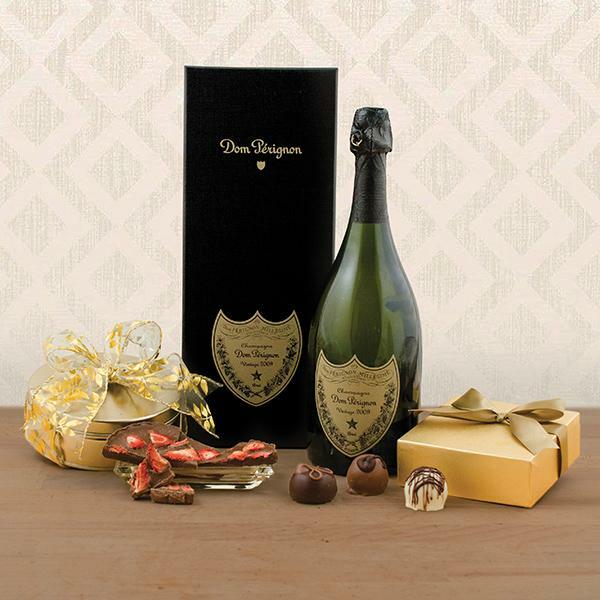 A bottle of Dom Pérignon and a box of handmade truffles & chocolates – this is elegance personified! 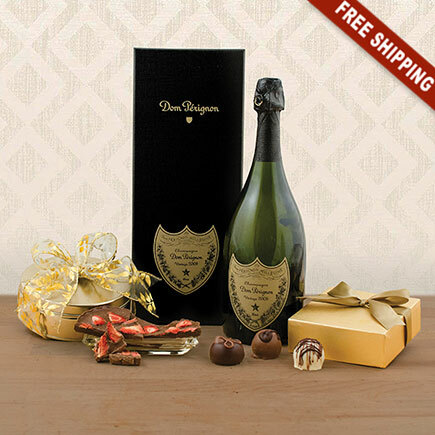 You must be 21 years of age or older to purchase or receive a wine basket from us. Due to state restrictions, we cannot ship wine to IN, KY, MS, ND, TN or UT. This basket must be signed for by an adult over 21. If you are sending a basket requiring an adult signature and are not sure if anybody will be home to sign for it, we strongly suggest that you ship the basket to a work address, or to an address where somebody over 21 will be there to sign for it. 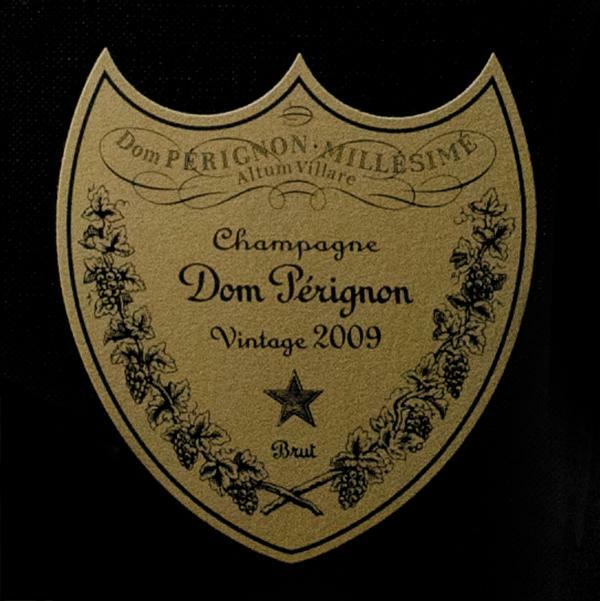 The tasting of Dom Pérignon, France's finest, begins with a wine that breathes and comes alive in a light, playful spiral, with touches of angelica, coconut, cinnamon, coca and tobacco. In the mouth, the wine reaches a state of complex fullness: earthy, smoky, and pearly, underscored by the vibrant warmth of peppery spice. The sensation of intensity develops and melts into a deep, rounded heart, with a fruity, exotic maturity and a slight touch of aniseed. This sensation, almost unsettling, is even more pronounced in the finish, while the notes of spice, still present, remain discreet, with toasted and iodine flavors. You must be 21 years of age or older to purchase or receive a wine basket from us. Due to state restrictions, we cannot ship wine to IN, KY, MS, ND, TN or UT. If you are sending a wine basket and are not sure if anybody will be home to sign for it, we strongly suggest that you ship the basket to a work address, or to an address where somebody over 21 will be there to sign for it. There is a $5.50 Adult Signature Fee which is already included in the shipping price.